The high definition disc format has a bright future and we can expect "exciting things" to happen in the next few months. That's the message coming out of the Blu-ray camp today after Tech.co.uk spoke to its chairman Frank Simonis. He said that while the likes of Bill Gates has predicted the failure of high definition content in general, Blu-ray does in fact have a bright future. "I think a lot of people make the mistake of thinking that Microsoft is the Holy Grail," Simonis said. "The idea that no one wants HD is a story that Microsoft likes to spin. Bill Gates last year had a speech at a University in Chicago where he stated that he didn't need the third generation optical media and will go for downloads. Microsoft full of hot air? "I have however heard a lot of stories on new products from Microsoft coming to market including Windows Vista which was due, I believe in 2004, and only came alive in principle this year. So only three years late! "Microsoft is very bad at making predictions and I think that you can only judge that if the consumer truly has a choice in making use of that application. For standard definition the concept is now slowly coming alive. But high definition is six times more information in the video alone. That's not including the HD 7.1 audio. "So to download a movie of 25GB over the internet I wish the consumer a lot of success today and hopefully the day after you might have all the content in one form. 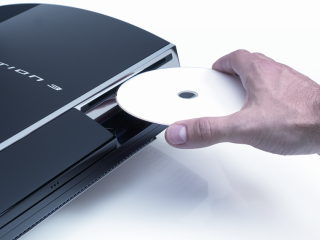 But with Blu-ray you can buy it all in one go and it's top quality at an affordable price."